Rob. A! 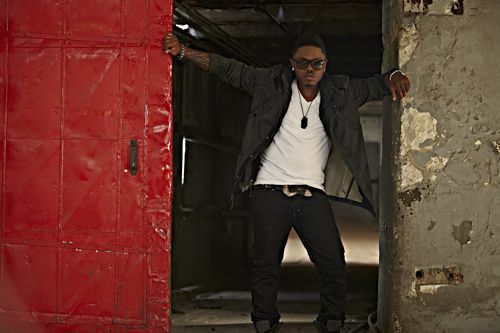 (real name Robert Lamont Allen) is an exceptional recording artist as well as a multi-platinum Grammy nominated singer/songwriter/producer from New Jersey. Rob. A! has worked with some of the biggest names in the business. You remember Chris Brown’s 2008 hit, Forever and Rihanna’s Disturbia? Yeah, you can thank Rob. A! for those. And his list goes on…..
HH: What is it like stepping out of the songwriter role and stepping up as the artist? Rob. A! : Its actually very difficult. When people you built relationships with know you first as a writer it seems like that’s all they see. Not to mention you have a lot to prove. Every song you work on as an artist in their eyes has to measure up to your own discography. I try my best not to look at it that way and create freely. I’m prepared for the challenge and I know what its gonna take to make a big impact. Obviously I’ve had plenty of practice in the studio. All I have to do now is share my story through the music and the rest is history. Rob. A! : The RoBellion in lesser words is my rebellion against the music industry. Once my song demos for other artists started leaking, I was baffled by how careless label executives are about the matter. As much as I wanted to submit songs to artists I admire, I couldn’t bear seeing another one of my songs up on a file sharing/blog site. So I decided to discontinue writing and submitting songs and focus on the one thing that makes me happiest. That’s working on music for me. It’s not that I don’t enjoy songwriting for others, it’s just the business can put a damper on your creativity. When you create for yourself, you don’t have to follow rules and hear someones criticism about something they know nothing about. It’s like someone trying to tell a bird the right way to fly. The bird was born with the ability that you wouldn’t fully understand unless you were a bird or learned how to fly. I didn’t choose to be a singer, I was born like this. I’ve always “heard things” differently than everyone else. So the way I express what I’ve heard is with my voice. All in all, the RoBellion is my way to empower not just my musical peers but people in general. Being a REBEL often has a negative connotation to most, but I’m teaching that being a REBEL brings much needed change. Most of our greatest leaders in history were REBELS. With my RoBellion, I intend to be like them and open peoples eyes to the possible impossibilities. HH: What was is like working with Chris Brown? Rob. A! : Working with Chris was like working with a childhood friend. Even though Chris and I had met only 2 times prior to our first writing session in LA, I felt like I knew him my entire life. He’s so down to earth and has a free spirit. When you work with him in the studio it doesn’t feel like work. It made me feel like when I was a kid outside with all the other kids who enjoyed playing the same games and crackin jokes. To me that’s what makes a great artist. Remaining true to who you were as a kid and not allowing the world to reshape you into someone you’re not. The best part about working with Chris is he let me do what I do best, and that’s be myself. HH: What did it feel like to be Grammy nominated? HH: Who was your first inspiration, getting you into the music industry? Rob. A! : To be honest, I cant give credit to only one person. From a performance standpoint, Michael Jackson. It wasn’t that I wanted to perform like him but I was inspired by his ability to incorporate the things he loved most in his music videos. Watching music videos on MTV and BET made my desire to be in “that world” grow stronger over the years. By the time Usher emerged with his “My Way” album. That was the moment I felt like there was a place for me in the industry as a recording artist. However, I still wasn’t confident in my own voice because no one knew I could really sing. So listening to groups like Jagged Edge, 112, and Dru Hill made me grow interest in wanting to be in a group. By my freshman year in high school I became friends with an upperclassmen Jai-sun Toro. He was a triple threat ( producer, artist, and dancer). I was on the track team but I couldn’t help but think about music and creating songs after watching him create. Not to mention he told me all these stories about going to big studios and working with other successful producers. That’s when my writer side surfaced. We wrote songs together then eventually teamed up with 2 others to form our boy band “Harmony”. So, I guess from that point you can say is where the industry became more of an open book to me. HH: Who would you most like to collaborate with first (for your album)? Rob. A! : Because ima REBEL I’m giving you more than one answer; Kanye West, Missy Elliot, Swizz Beats, Nicki Minaj, Timbaland. HH: Will you be writing all of your own material? Rob. A! : No offense to anyone but, yes. For the first album I want all my content to be from me. I feel people intend to buy music they feel is coming directly from the artists brain. I think that’s why some artists struggle to stay engaged to there fans because the initial person they met is not who they really are. Someone gave them dialogue. To me that’s not real. HH: When can we expect your debut album? Rob. A! : Right now the honest answer is I don’t know. *laughing* My focus is not the album but connecting with my fans. Before I try shoving music down peoples throats I want them to join me on my journey and the album will be a collection of the experiences along the way. I think that’s why they call them albums. In correlation, each single I release is an experience leading up to THE album. HH: How about a tour? Rob. A! : Most definitely. Even though the world lives on the web, the live experience is so important to fans. I hope to be a part of an official tour by the top 2012. HH: Now let’s get personal……..Is there a special someone in your life? …If not…. what’s your type? Rob. A! : Nah, none of that right now. I’m too consumed with my own personal goals to try to commit to a love relationship. If anything i’d be looking for a partnership. If my woman can work with me that would be great. Cause then I wouldn’t have to feel like I gotta step away from my life’s work to cater to a relationship. My type is someone who is just as ambitious as me and is working towards a similar goal. She has to be “multi”-talented. I gotta feel like even when I’m not on my game, she can easily step in an keep the ball rollin just as I would myself. Rob. A! : Movies in bed and making/eating junk food. HH: Who’s your personal hero? Rob. A! : God. No matter what you believe in, at the end of the day when you call on God he answers. Whether you hear what He says or not is solely based on how much you understand the world around you. HH: Do you have a big family? Rob. A! : Big is an understatement. Every few months I discover more of my relatives. In my household growing up it was just my mom, dad, and sister. But, I have over 100 cousins. My mom is the baby girl of her total 7 brothers and sisters. My dad has 2 brothers and 3 sisters. I cant even count all the kids. LOL And that’s just on my dads side. Having a big family makes it easier for me to meet and deal with new people. HH: How about your favorite flavor of ice cream? HH: What is your favorite season? Rob. A! : Depends on where in the world I am. I guess you can say spring. I don like extreme hot/cold climate. However I love when its windy. HH: Who’s on your play list? HH: Where do you see yourself in five years? Good answer! We can’t wait to see you rise to the top as an artist and we will be supporting you all the way. You can keep up with Rob. A! on his Twitter page, Facebook fan page, and his official site.